Learning to Write: The Importance of Comic Relief and Minor Characters by Phillipa Nefri Clark & Giveaways! We have author Phillipa Nefri Clark sharing with us The importance of comic relief and minor characters. She has a new book out, Jasmine Sea: A River's End Love Story, Book 2. And there are signed book giveaways! We all love writing our main characters, watching them develop as we flesh them out and make their world shine. They are our focus, the ones we cry over and laugh with. Without heroes and heroines, we’d have no story. Secondary characters are every bit as important. Some may only appear briefly, whilst others are there all along in the background. Why do we need them? Isn’t the story of the protagonist and antagonist enough? In the movie Cast Away, Chuck Noland is marooned alone on a remote island. His emotional ride as he fights to survive is offset by his comic relief character - a volleyball he names Wilson. Wilson provides a means to show what’s going with Chuck in an entertaining, sometimes subtle, and occasionally touching way. How does a comic relief character benefit a story? In The Stationmaster’s Cottage, I introduced minor characters Daphne (a warm-hearted, small-town gossip), Belinda (works for her mother in a bakery not knowing what she wants in life), and Randall, the golden retriever owned by my protagonist’s love interest. Daphne provides useful information Christie would not otherwise be privy to in an organic fashion. She is also there at the right moments to tell Christie how welcome she is in town, which creates emotional conflict for Christie. Naïve in a sweet way, Daphne drops red herrings into the story with no thought to the outcome. Belinda’s little sister, Jess, needs help which Christie willingly gives. All three benefit and the reader discovers how generous and kind Christie is by her actions. Belinda offers humour in moments otherwise tense, and reminds Christie of herself at that age, but without the hang-ups. Randall is the bridge between Christie and Martin. The reclusive artist has little time for the city girl (as he calls her), but his dog adores her, and that means a lot to Martin. Each of the minor characters serve a major purpose. They either organically offer information which otherwise might have been ‘told’, provide distraction, change the tone of a scene, or introduce elements to enhance the story of the main character. These characters offer their own very real challenges to get right. Not only does each have a unique voice, but complex backgrounds. They must be used to move the story forward, yet not make the story about themselves. When I decided to write Jasmine Sea as a sequel, it was my minor and comic relief characters I revisited first. Did they still have something interesting to say? Had I left enough unfinished business to continue their stories? I was excited to find out there was plenty more they had to say! 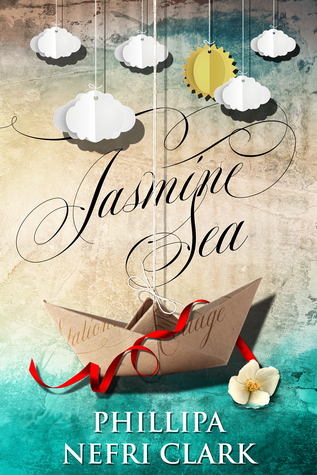 In Jasmine Sea, Daphne returns in a larger role. Her marriage and home are put under pressure, which allows her to become part of an emotional side story. Belinda is mostly away following her own dreams now but appears when Christie needs her to move things along. Randall, the much loved canine, steps into a central role. This is designed to optimise the suspense, increase the emotion, and put the reader on the edge of their seats toward the end. By doing so, the humans who love him in the story make decisions and take risks pushing them into unchartered territory. What techniques do you use to bring your minor characters to life? Do you have a favourite comic relief in one of your own novels? Is there a writer you think does this particularly well? It's nice that you feature another authors work on your blog. Very nice. I love that cover!! And I love a bit of humor in my stories and well-fleshed out minor characters just makes a story sing. Sounds like this story is a winner! Thanks, Elizabeth! I'm so lucky with my covers to have a gorgeous illustrator who comes up with unique concepts. Agree about a bit of humour - takes the edge off :-). I often find myself loving the secondary characters more than the main ones--they can be so fun! Best of luck to you, Phillipa! Oh - so do I! Thank you! Great post. Thank you for sharing this insight. And congratulations on the sequel. Happy Writing! It is my pleasure. Thank you, Darla! A book with two characters would be very boring. Supporting characters are vital to giving a story breathing room. I cannot help but infuse humor into the things I write. Although I started my current WIP with the intention of it being a more serious book than my first, the humor kept popping up on its own. My characters simply wouldn't have it any other way. We meet again :-). That's how it is with me. Even at the oddest times they'll come up with something. This sounds like such a good book. It's nice to see it featured on several blogs. You know, the same thing could be said of real life. The secondary characters in our lives bring out aspects of our personalities we might never discover otherwise. Love the book cover. Best of luck to Phillipa! I'm so glad you gave attention to those secondary characters. They are essential. Great post.Thank you. Thank you for commenting! Without characters such as Randall, Daphne, Belinda and even Barry (a builder whose role grows along the way), I wouldn't have written Jasmine Sea. 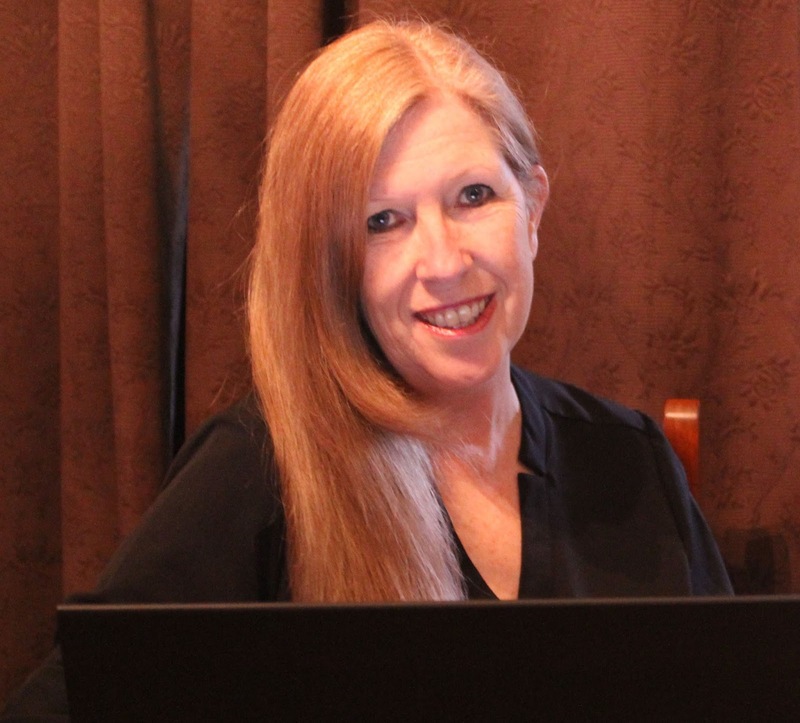 Originally, I wrote The Stationmaster's Cottage (River's End Romance Book 1) as a standalone, but there was so much more to write about that Jasmine Sea: A River's End Love Story. Book Two! simply demanded to be created :-). That's another compelling reason to create those fascinating secondary characters. True. And now those characters are insisting on having a new adventure. Something for the new year. Indeed. With two more in the series now planned, it is all thanks to those characters. I so agree about having a cast of great supporting characters. Really makes the story shine, doesn't it?